Just like the game of baseball, every journey with autism needs a game plan. And in the playing field that is called society, how do you think persons with autism (PWA) play the game that is called life? Join us as we hear right off the bat tales of journeys from our PWA panelists, who, despite many strike-outs and extra innings, still manage to make home run and win the game, all in their own right. The Autism Society Philippines Cavite Chapters, in partnership with the Municipal Government of Carmona, Cavite, will be holding the 5th Regional Conference on Autism, themed “Living with Autism: HOPE@HOME,” on 8-9 September 2012 at the San Lazaro Business and Leisure Park in Carmona, Cavite. The conference brings to South Luzon topics and discussions that shall aim to enrich parents, professionals, students, and government officials with knowledge and skills in helping people with autism become fully functional members of our community. Ms. Veluz, better known as Tita Mona and @mightymagulang, is the National Secretary of Autism Society Philippines. 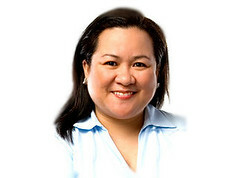 A graduate of Business Administration at UP Diliman, she also finished her graduate degree in Applied Business Economics and Strategic Marketing at the University of Asia and the Pacific and the London Business School. She has held various global management roles in technology multinational companies, and has taken her autism rights advocacy into social media by blogging and tweeting about her many adventures. She is a mom to three kids, including Carl, a 19-year old PWA. Gabby is a comic book artist, known for his works Deputy Dodgers and My Life as a Comic Book, the latter depicting his life with Asperger syndrome, a condition on the autism spectrum with which he was diagnosed in 2002. He has studied in the University of the East and the Philippine Women’s University where he majored in Fine Arts. He has worked a sales representative in a computer shop for 14 years, and currently works as an in-house artist at the Center for Autism and Related Disorders. Since his diagnosis, he has taken his skills in his move for self-advocacy, while using them to give art lessons to children. 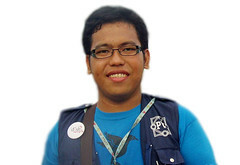 Gerard is the current Secretary of ASP Bacoor Chapter, and also the program assistant of the 5th Regional Conference. 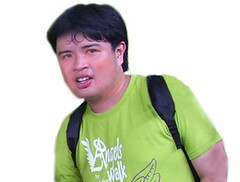 A graduate of AB Broadcast Journalism at De La Salle University-Dasmariñas, he is currently taking up his Certificate in Teaching Program at the Philippine Normal University, pursuant to pushing his goal to become a teacher, particularly for people with autism and other special needs. He used to work as a call-center agent for over two years, and is currently a freelance multimedia artist, a volunteer for children with special needs, and a self-advocate. Mikko is an Administrative Aide at Holy Nazarene Christian School in Tanza, Cavite, which happens to be his alma mater where he graduated high school in 2007, and has been working there since 2008. 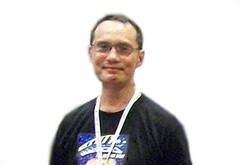 He is a member of various civic and church organizations in his community, namely: Knights of Rizal, Del Carmen, and Hijos-Hijas del Maria, among others. He is working to promote PWD rights within the local setting in his own right. Paul is a Teacher Aide at Hopewell Integrated School, where he is also one of its students. 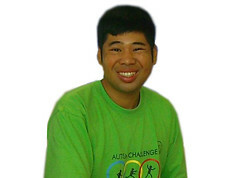 He is particularly active in activities involving autism awareness in the Cavite area, and also gives support for other special children at school. Despite the many challenges he encounters as a person on the autism spectrum, he proves himself to being reliable and industrious, using his physical strength and through his daily tasks.